Most average label users don’t know much about the label printing process. They are mostly concerned about the visual aspect of their label and often don’t even think about label material or printing techniques. However, an uninformed and poor choice of label material (for example, unprotected paper for moist conditions) can make your overall product look unprofessional and cheap. So, before ordering labels for your product, learn how to decide on the appropriate label stock and try to get familiar with different types of label printing. The most common printing techniques are digital, offset and flexo. Let’s take a look at the key the differences between, as well as the pros and cons of each technique. Small Business Tip: How to Choose the Right Label Material for Your Product? We talked about the importance of visually powerful and stimulating product labels and what you need to consider in order to design labels like a pro. With the right research on the type of buyers you want to attract and with good design, you’ve laid your groundwork for successful sales. However, there’s another important element to take into account before finalizing your product: choosing the right label material. If you’re new to product labeling, you might not be aware of how critical this step can be. It might be useful to hear about some of the negative experiences of people who chose the wrong type of label stock for their application. 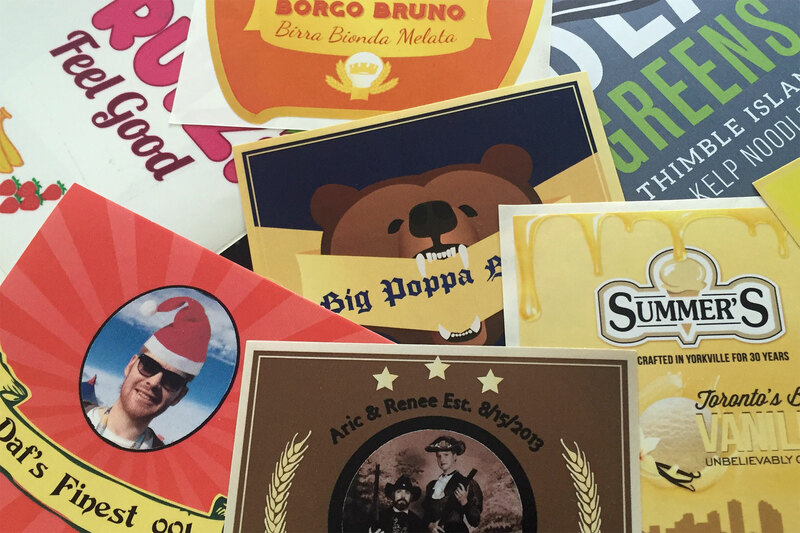 What Can Go Wrong with Label Stocks and Adhesives? Product labels are applied to different types of surfaces, from irregularly shaped boxes and jars to rough and slippery materials. There is no universal label stock that can work on all these shapes and surfaces. For example, if you decide to save some money on label material and go with commonly used plain paper, you need to know that paper labels are only good for products that will be stored in moderate, non-humid conditions. If you plan to use labels on things that will be washed or exposed to humidity in some other way, chances are that the labels will peel off, the printed ink will run/smear, and the label with important information about the product will stop being useful to its users. Therefore, poorly chosen label material for your product can be a good enough reason for buyers to stop purchasing your product. Vinyl and polyester labels are sturdy and are commonly used for waterproof labels, but it’s also important to know when not to use them. 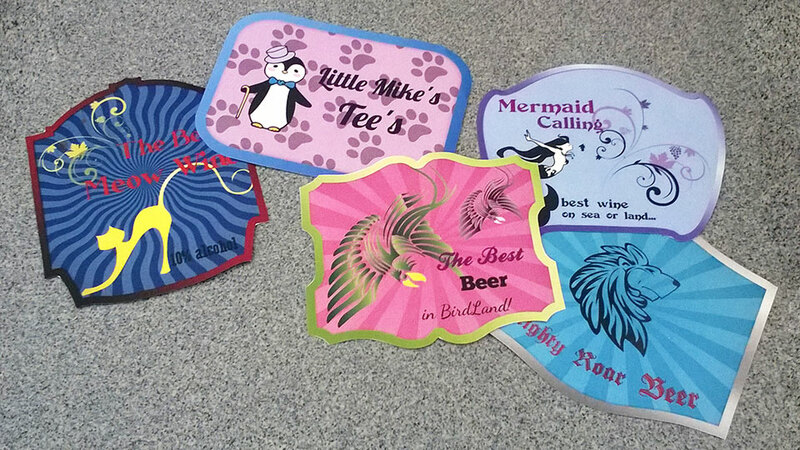 If you need labels for cosmetic products, software equipment, non-washable toys, etc. there is no need to spend more money on expensive polyester because quality coated paper will do just fine. Continue reading »Small Business Tip: How to Choose the Right Label Material for Your Product? Now that you had time to perfect your label design skills since our last tutorial on making neat, professional-looking labels, it’s time to present to you some excellent custom label printing opportunities that you have with Labeley.